Once a favored campsite for the Ute tribe due to its natural cover, Red Rocks Park was discovered in 1820 by an army expedition and later named the ‘Garden of the Angels’ by pioneer Martin Van Buren Luther. It was renamed ‘Garden of the Titans’ in 1906 by John Brisben Walker and became Red Rocks Park when the city of Denver took it over in 1928. The Park was added to the National Historic Landmarks list in 2015, along with the Mount Morrison Civilian Conservation Corps Camp. 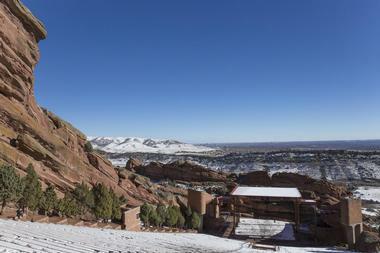 The Park has a beautiful amphitheater called the Red Rocks Amphitheater, which has been a world-renowned concert venue for 75 years. 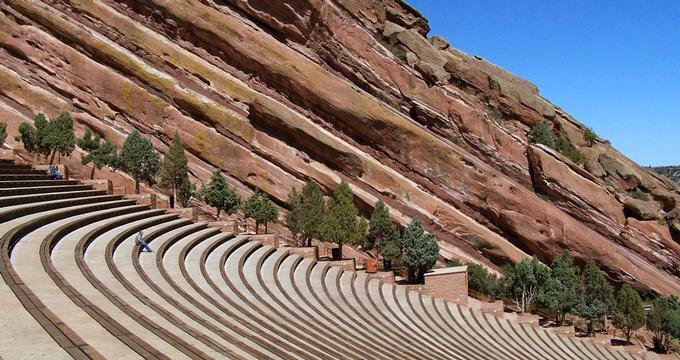 Designed by Burnam Hoyt and built of two enormous slabs of Red Stone, the award-winning amphitheater has hosted numerous music concerts and events, as well as the start and finish of The Amazing Race in 2006. Red Rocks Park features two hiking trails with the boundaries of the park known as the Trading Post Trail and Geologic Overlook Trail. Winding through spectacular rock formations, deep valleys, and blossoming meadows, the Trading Post Trail is 1.4 miles in length and 6,280 feet above sea level and is restricted to pedestrians only. Famous rocks along the route include Creation Rock, Ship Rock, and Stage Rock. Located in the Northwest corner of the park, the Geologic Overlook Trail is a short, moderate hiking trail with beautiful views and several good picnic spots and shelters. The Red Rocks Trail is a multi-use trail for hikers, mountain bikers, and horseback riders and runs through the east side of the park. 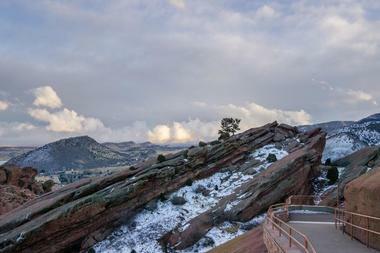 Red Rocks Park and Amphitheatre offers a variety of recreational and outdoor activities for all taste, ranging from scenic drives, wildlife and bird watching, to hiking, mountain biking, and horseback riding. Red Rocks Park is a unique ecological zone where the Rocky Mountains meets the Great Plains and presents a diverse environment that is home to a variety of birds, animals, and plants. The Colorado Music Hall of Fame is a dynamic new space that offers concert-goers and visitors the opportunity to learn more about Colorado’s incredible and diverse musical legacy. Established to honor individuals that have made outstanding contributions to music, educate the public about the importance of music in society and to preserve and protect historical artifacts. The Hall of Fame features an array of exhibits devoted to the music legends of Colorado, such as John Denver and the five CMHOF induction classes and showcases an array of memorabilia, photographs, documents, videos, and biographies. The new exhibition space also features innovative interactive elements and static display. 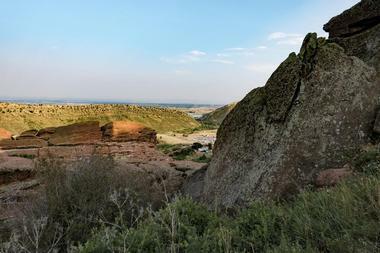 Red Rocks Park is located 18300 W Alameda Parkway in Morrison and is open daily from one hour before sunrise to one hour after sunset and is free of charge. 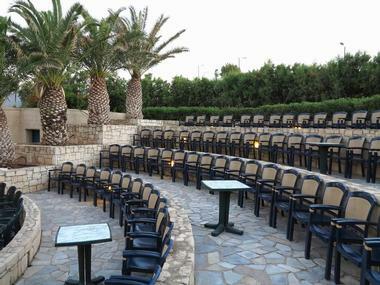 The park and the Visitor Center will generally close to the public in the early afternoon if there is an event or a performance at the Amphitheatre. Fires and camping are prohibited, bicycles and vehicles are only allowed on designated roads, and trails and pets must be on a leash at all times. 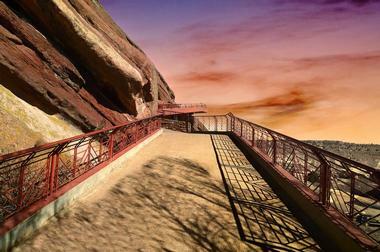 Private group tours for 10 people or more can be reserved in advance and not only explores the geology, wildlife, and history of the Park, but also delves into the music history of Red Rocks with interactive educational displays, an amazing Performers Hall of Fame exhibit, and a complimentary screening of Donna Dewey's Oscar-winning documentary. Located in the Red Rocks Visitor Center, and built around two enormous boulders which feature both inside and out on the patio, the Ship Rock Grille serves a delicious menu of all-American cuisine against a backdrop of spectacular scenery. Historically known as the Red Rocks Pueblo, the Trading Post is a unique shop that sells a variety of Red Rocks souvenirs, historical memorabilia, apparel, and other items. Built in 1931, the Trading Post boasts breathtaking views of the surrounding rock formations and the valley and is home to a Colorado Music Hall of Fame exhibit.